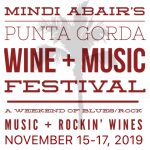 What’s happening in Punta Gorda: events, festivals, activities, local attractions. The Punta Gorda Chamber of Commerce operates fun-filled Trolley Tours most Fridays and Wednesdays from January to April. We offer a land and sea combo, featuring a 1-hour trolley tour of Punta Gorda, with no disembarkation, preceded by a 1.5 hour cruise on Charlotte Harbor and a 1-hour trolley tour (with no boat). The name, Punta Gorda, comes from the Spanish, meaning Fat Point. This historic small town is a hidden treasure of Florida and lies as a “Fat Point”, sticking out into Charlotte Harbor – one of the US’s largest natural harbors. Centrally located between Sarasota to our North and Fort Myers to our South, Punta Gorda is a delightful location, within a comfortable driving distance from Tampa, Orlando and Miami. The Artisan’s Atelier is a venue of working artists’ studios and a gallery for the public to visit. The Atelier provides affordable place where artists can create and sell their works. The public is invited to browse and buy! Voted the ‘Best Small Market in Florida’ and 15th in the USA, we have a large number of vendors offering fruits and vegetables, dried fruits and nuts, Italian bakery, fresh homemade pasta, kitchenware, cupcakes, beef and fresh seafood, fresh citrus, jewelry, candles and soaps, dip mixes, Florida arts and crafts, cheese, French bakery, baguettes and olives, homemade pies, orchids, organic produce, personalized pens, kettlecorn, coffee beans and drinks, native and exotic plants. The Farmers Market has become a Saturday morning tradition, adding more vendors weekly. There is live music from 9am to Noon. For details on Punta Gorda Airport / Charlotte County Airport, which serves the whole of SW Florida, please visit www.flypgd.com. There you will find details of the airports location, direct jet service to many cities in the North East, South East and Mid West as well as details concerning ground transportation and car rentals.